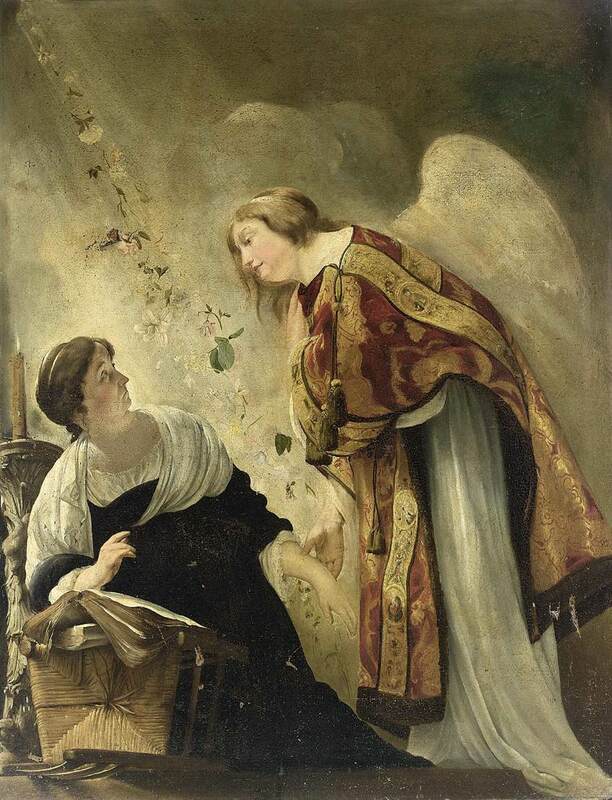 The Annunciation, painted by Paulus Bor (Amersfoort, circa 1601 - Amersfoort, 1669). Oil on canvas, 198 x 152 cm, private collection. From 1623 until 1626 Paulus Bor lived in Italy. He made such progress that Jacob van Campen, the famous Dutch architect and painter (who also lived in Amersfoort) engaged him to work on the decoration of prince Frederik Hendriks palace at Honselaarsdijk, which has unfortunately since been destroyed. A very different face for Mary, but a very pretty painting.